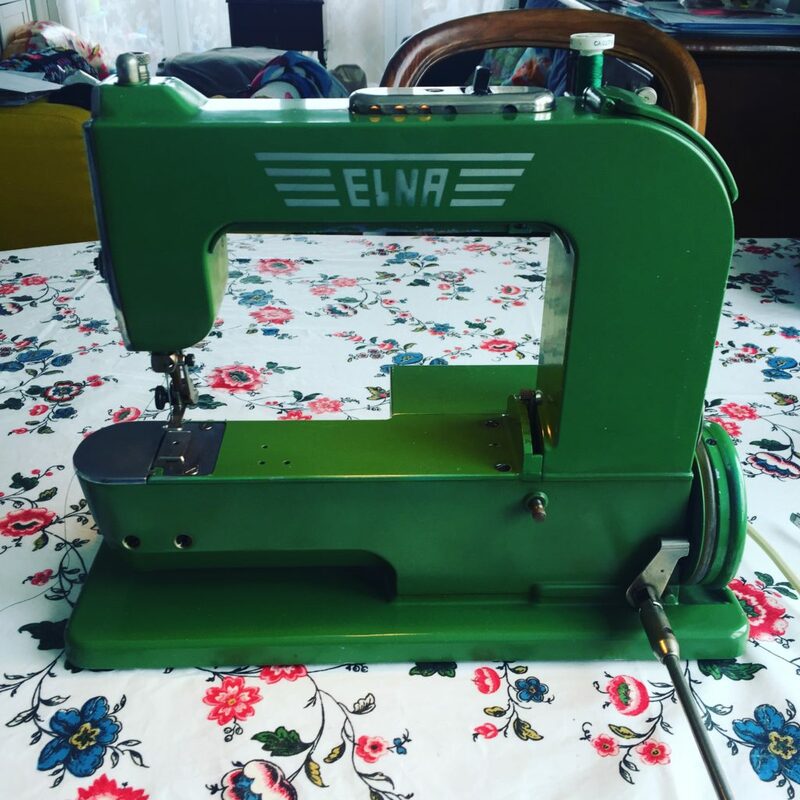 I have a new sewing machine: an Elna Grasshopper, which I’ve decided to name Agnes. I used to have a Grasshopper but sadly her motor started smoking while I was sewing and I had to get rid of her. I’ve wanted another one ever since and when I found this one on the internet for sfr.35.- I knew I had to get her. She’s got quite a few scratches and has neither her case nor any accessories but I thought that it didn’t really matter for this price. I really enjoy using her and I mostly got her so I could take her to retreats. I had to get a new foot for her as when she arrived she was set up for darning but that was quick and easy thanks to the internet again. I was really happy for the darning foot as it means I can do some free motion quilting with her too. I now need to make a cover for her and think I might go through my massive pile of orphan blocks and EPP trial pieces to find something I can quickly turn into a quilted cover. I’ll show her off in her new cover as soon as I’ve finished it. Welcome to the family, Agnes!